The Helios Spotlight beat all our competitors to come 2nd (our very own Thea Spotlight came first) in Amateur Gardening Magazine’s Solar Spotlights test. It was given 14/15 for features, performance and value and was awarded 2nd best buy. Even after a sustained period of dull days the Helios comes on at night with almost unrivaled consistency. With its solid metal construction there are few solar spot lights that rival this in terms of build, brightness and weather resistance. Lights a distance of up to 8 metres. Well made unit at a good price. Produces plenty of light. Nicely shrouded mount so very little sideways light spill over. As other reviewers have pointed out the solar panel and light are fixed in one alignment so you need to be sure that it will work in the proposed location. In my case it does. Excellent product, this is the 3rd one i have brought. Good bright light. 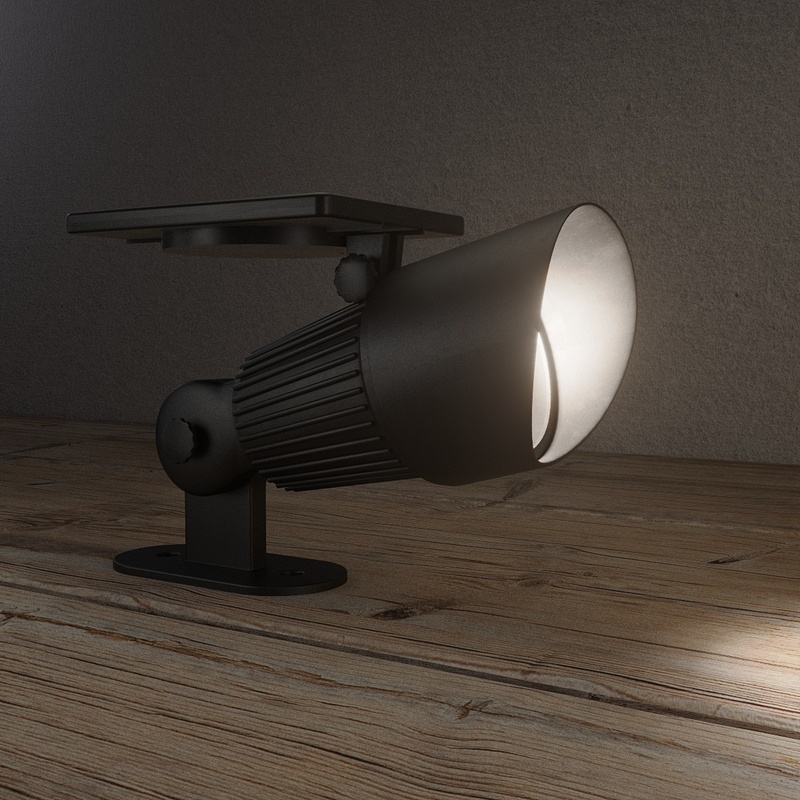 Unlike other solar spot lights on the market, The Super Bright 3 double-sized LED Solar Spot Light has 2x1000mAh Ni-Mh rechargeable batteries this enables it to operate for much longer than rival spot lights making it ideal for variable UK weather conditions. Solar spot lights can be placed anywhere outside allowing you the freedom to light any area without needing to call an electrician to install a costly outdoor mains power supply. Take a look at our Solar Spot Lights for the full range of solar spots that are available. The solar panel charges the Helios Solar Spotlight batteries during the day. 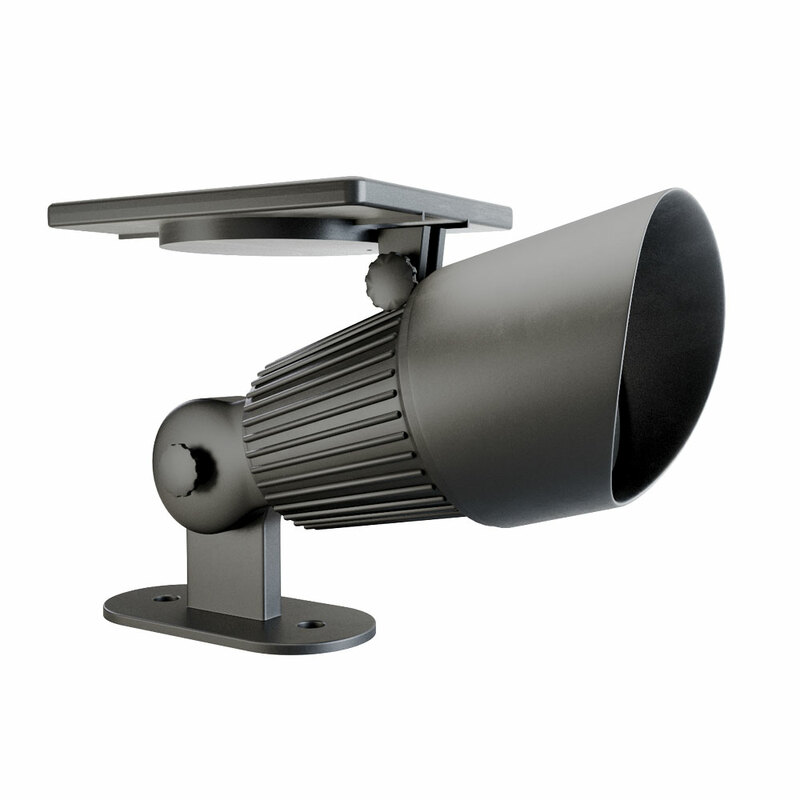 At night the Helios Solar Spotlight illuminates automatically and turns off again at dawn. Is the light sufficient to subtlety up light a tree? Easy to turn off as not wanting to use everyday more for occasions ? Thank you. This really depends on many factors, this light is 44 lumens, our spotlights go up to 140 lumens. You would also need to test if one or many lights have the desired effect you are looking for. wil the light still charge in the off position ? What is the lumen value of this light please. The Helios is rated at 44 lumens.